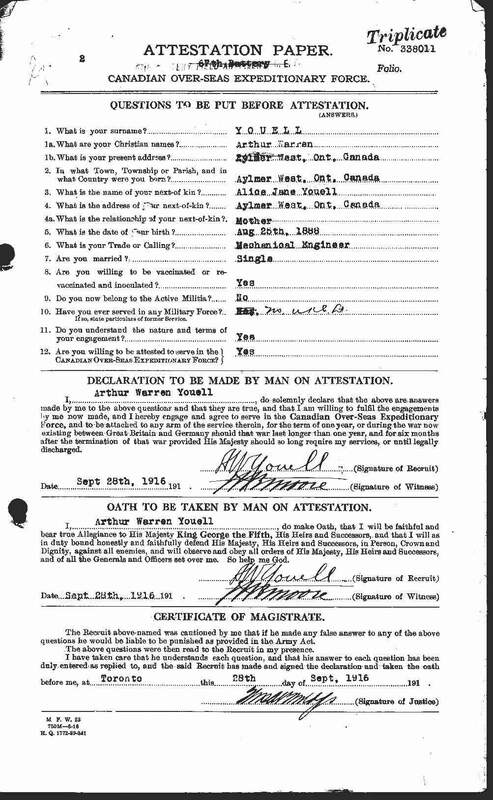 Burial* He was buried in Ingleside Cemetery, Ingleside, Melville Census Civision, Saskatchewan, Canada. 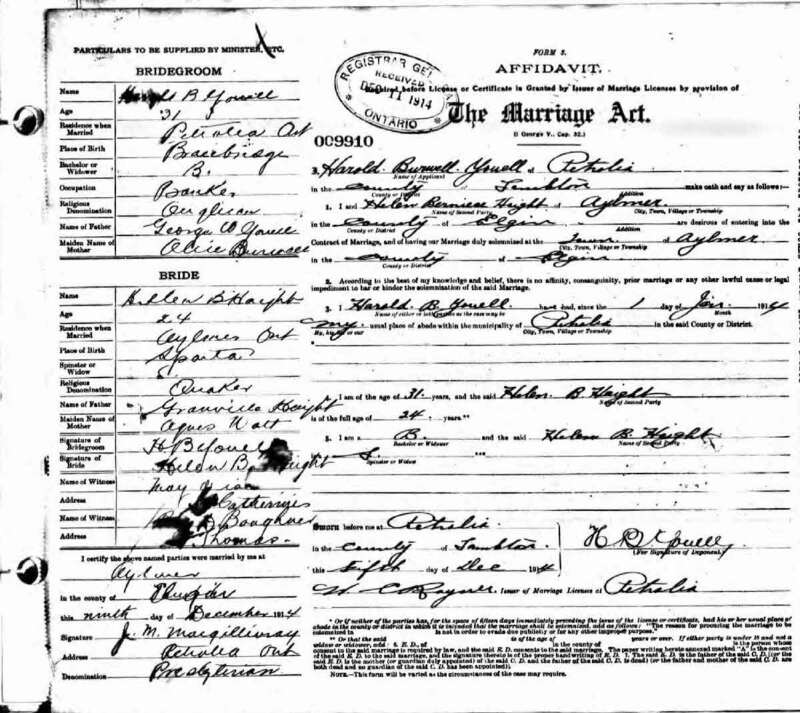 Marriage* She married Clarence Melville James Shier, son of William WESLEY Shier and Annie May Cuddie, on 24 June 1933. 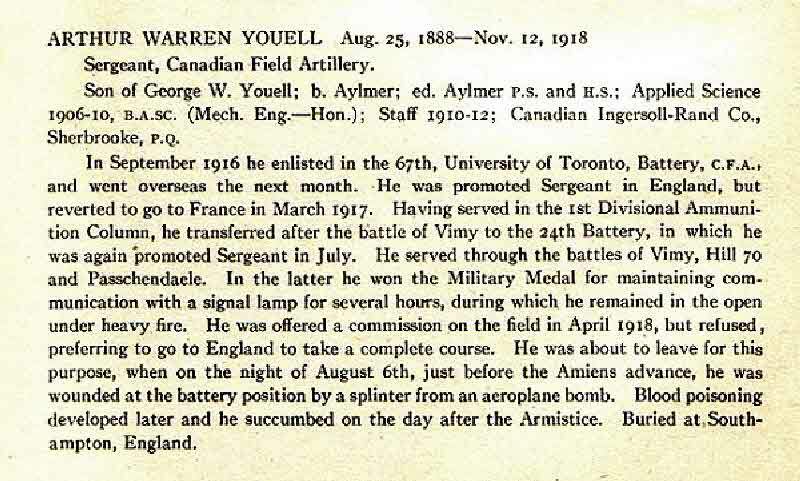 Birth* Arthur Warren Youell was born on 25 August 1888 in Elgin County, Ontario, Canada. 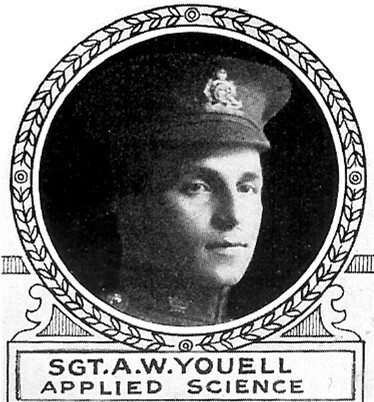 Milit-Beg* Arthur Warren Youell began military service on 28 September 1916 in Toronto, York County, Ontario, Canada. Death* He died on 12 November 1918 in England at age 30. Burial* He was buried in Southhampton (Hollybrook) Cemetery, Hampshire, England. 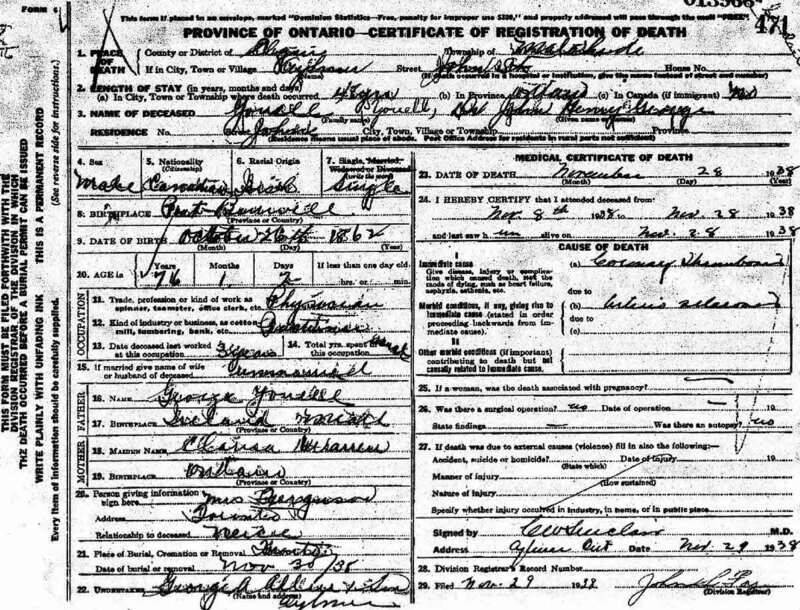 Burial* She was buried in Alymer Cemetery (Section A), Aylmer, Elgin County, Ontario, Canada. 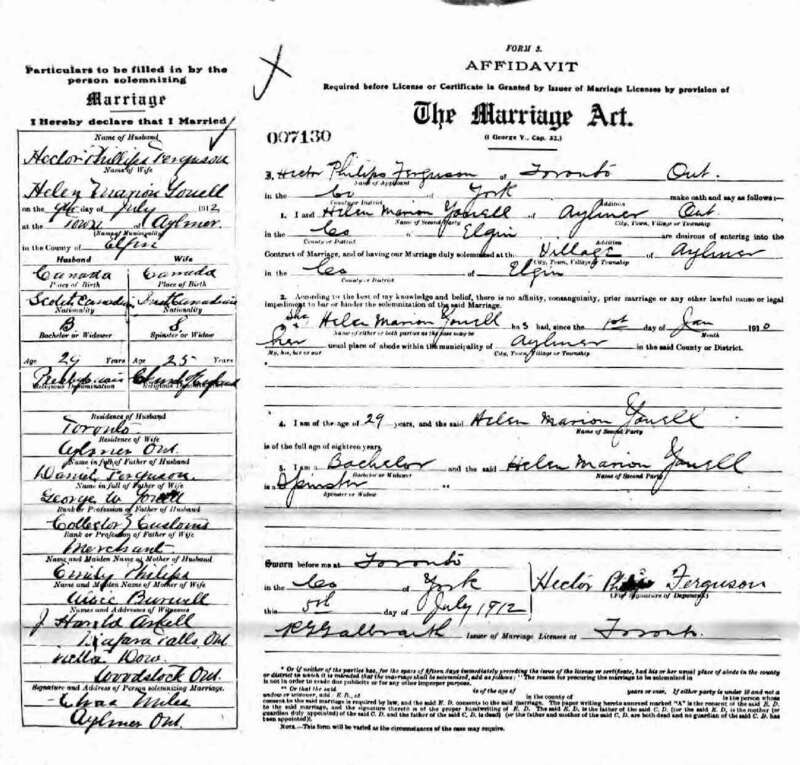 Marriage* Clara Ann Youell married William Henry Eakins on 23 May 1894 in Aylmer, Elgin County, Ontario, Canada. 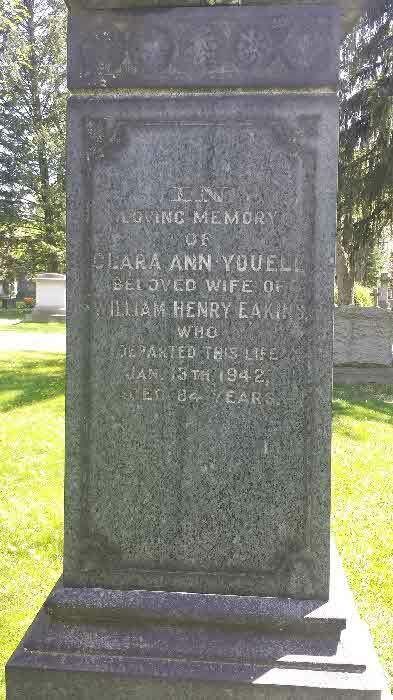 Death* Clara Ann Youell died on 13 January 1942 in Toronto, York County, Ontario, Canada, at age 84. 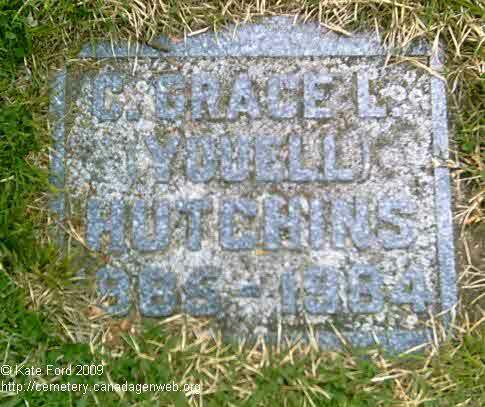 Burial* She was buried on 15 January 1942 in Mount Pleasant Cemetery, Toronto, York County, Ontario, Canada. 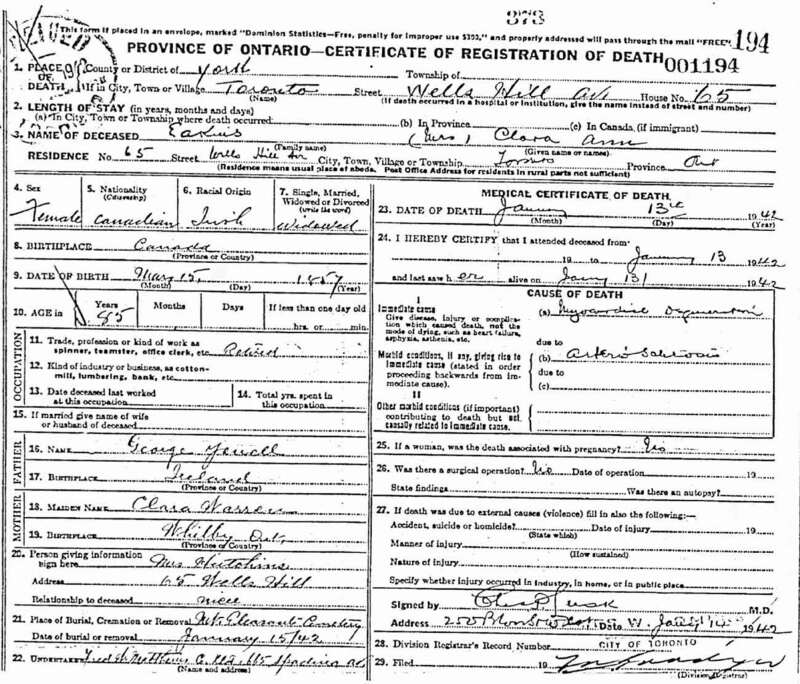 Birth* Clarissa Grace Leonard Youell was born on 31 May 1885 in Malahide Twp., Elgin County, Ontario, Canada. 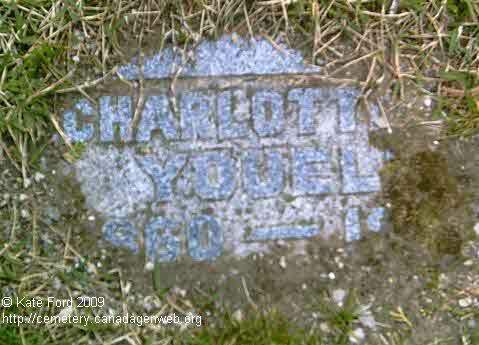 Burial* She was buried in Aylmer Cemetery (Section A), Aylmer, York County, Ontario, Canada. 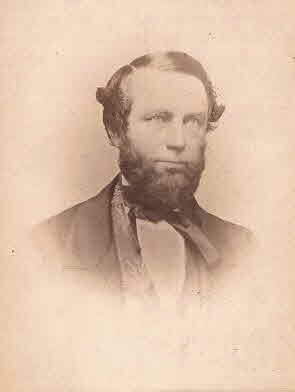 Death* He died on 19 October 1924 in Homewood Sanitarium, Guelph, Wellington County, Ontario, Canada. Burial* He was buried in Aylmer Cemetery (Section A), Aylmer, Elgin County, Ontario, Canada. 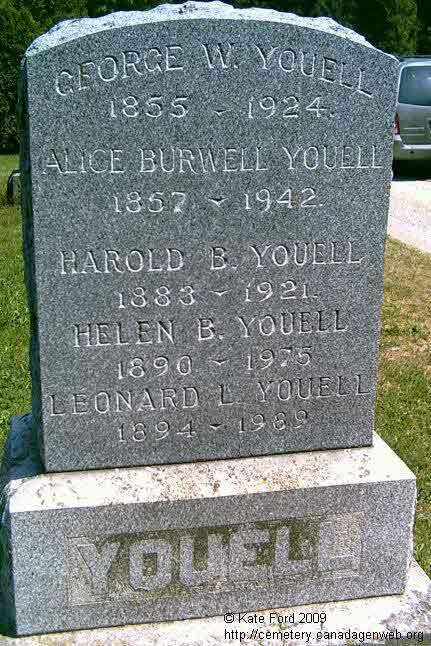 Marriage* Harold Burwell Youell married Helen B. Haight on 9 December 1914 in Elgin County, Ontario, Canada. 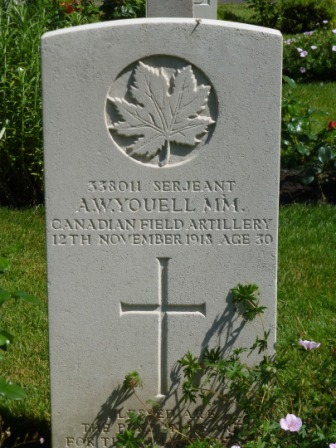 Burial* He was buried in Aylmer Cemetery, Aylmer, Elgin County, Ontario, Canada. 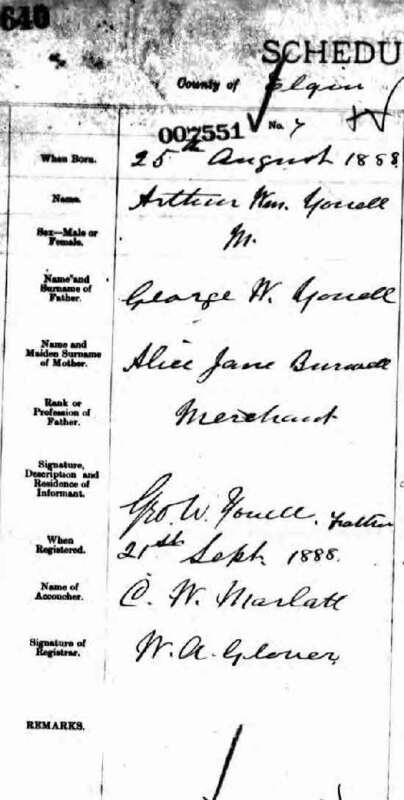 [S67] Cook County, Illinois, Deaths Index, online \, Death Regisgtration for Harold Burwell Youell. 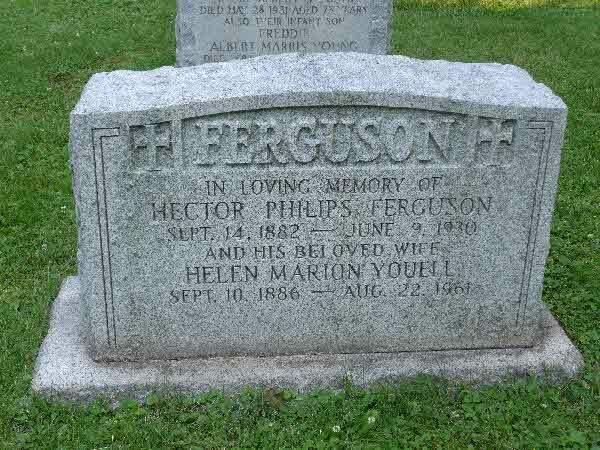 Marriage* Helen Marion Youell married Hector Philip Ferguson, son of Daniel Ferguson and Emily Phillips, on 9 July 1912 in Aylmer, Elgin County, Ontario, Canada. Burial* She was buried in Mount Pleasant Cemetery, Toronto, York County, Ontario, Canada. 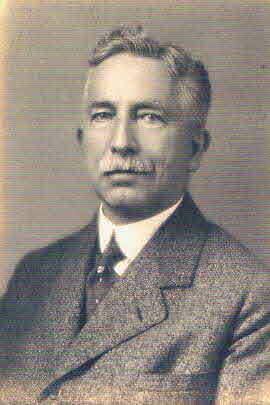 Death* Dr. John H. J. Youell died on 28 November 1938 in Malahide Twp., Elgin County, Ontario, Canada, at age 76. Burial* He was buried in Alymer Cemetery (Section A), Aylmer, Elgin County, Ontario, Canada. 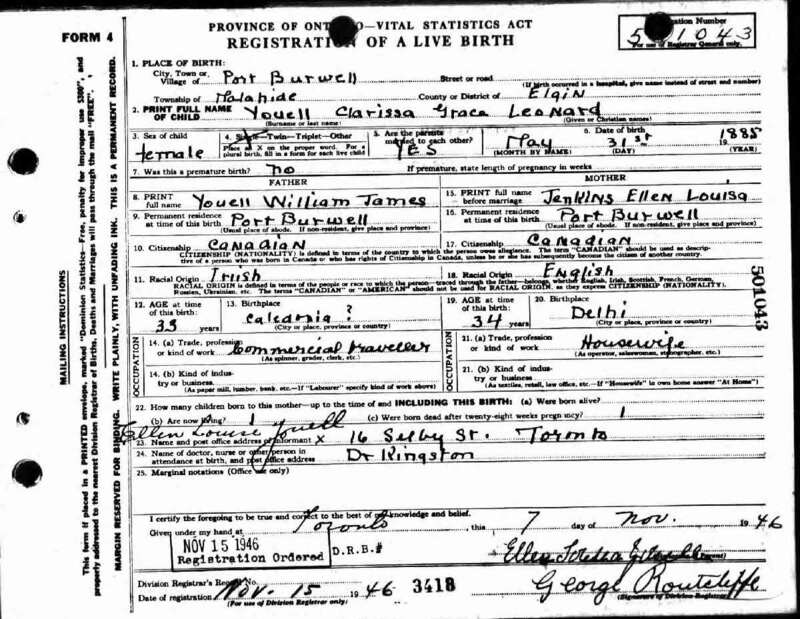 Birth* Leonard Lynde Youell was born on 15 September 1894 in Elgin County, Ontario, Canada. 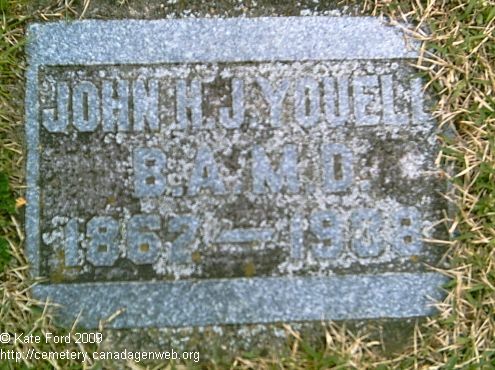 Burial* He was buried in Aylmer Cemetery (Section A), Aylmer, York County, Ontario, Canada. [S20] Unknown compiler address, United States Social Security Death Index, 1935 - 2014, unknown repository, unknown repository address, Death Index for Leonard L. Youell. Burial* He was buried in Barrie Union Cemetery, Barrie, Simcoe County, Ontario, Canada. Burial* He was buried in Mt. 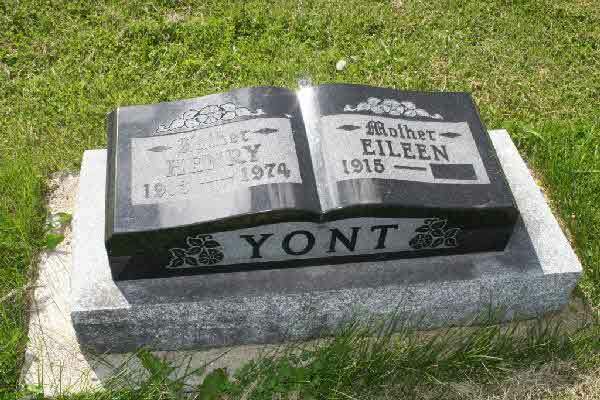 Hope Cemetery, Edgeley, LaMoure County, North Dakota, United States. 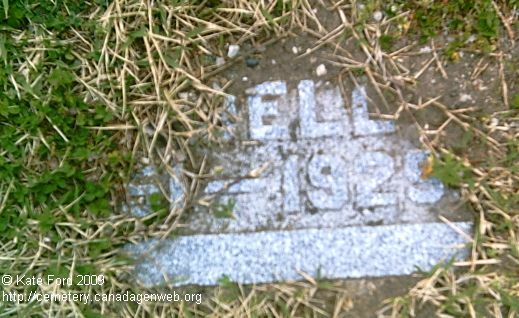 Burial* She was buried in Carnduff Cemetery, Saskatchewan, Canada. 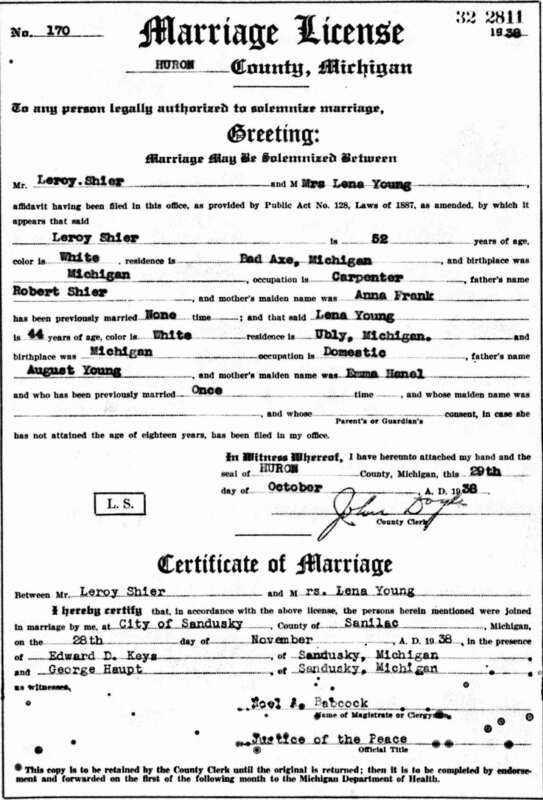 Marriage* Lena Young married Leroy Lehi Shier, son of Robert Shier and Anna D. Frank, on 28 November 1938 in Sandusky, Sanilac County, Michigan, United States. Death* Pamela Mary Ziehm died on 13 June 2015 in Macomb Twp., Michigan, United States, at age 63; Pamela Mary Shier of Macomb Township died peacefully surrounded by her loving family on Saturday, June 13, 2015 at the age of 63 years. Pam was born on May 8, 1952 in Detroit. Her parents, Robert and Mary (nee Brandt) Ziehm, raised her on their family farm where they raised and bred horses. On September 25, 1971, Pam married Alan John Shier at St. Peter Catholic Church in Mt. 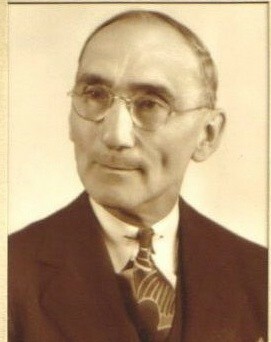 Clemens. She was a member of St. Peter Catholic Church in Mt. 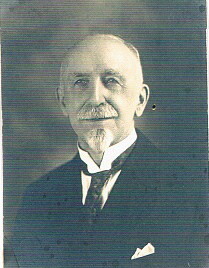 Clemens. Pam loved animals, especially horses. In the 70’s, Pam competed and showed horses and then in 1980, she stepped up and started running the farm herself. Pam enjoyed shopping and ceramics. She loved her family and a great deal of her time was spent spoiling her grandchildren. Pam will be greatly missed by her loving family and friends. Pam is survived by her children, Scott Alan (Alexandria) Shier of Chesterfield and Sharon Mary (Bruce) Stemmel of Macomb; grandchildren, Robert Alan Shier, Rachel Mae Shier, Reilly Margaret Shier, Monica Mary Stemmel and Chloe Mary Stemmel; and mother, Mary Ziehm. 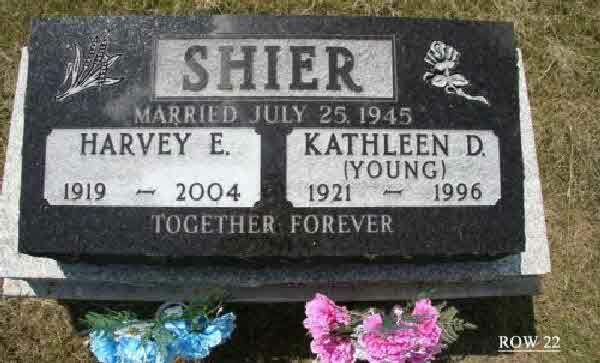 Pam is predeceased by her husband, Alan John Shier on April 8, 2010 and father, Robert Ziehm. Visitation will be from 2:00 p.m. to 8:00 p.m. on Wednesday, June 17, 2015 at Hauss and Modetz Funeral Home, 47477 Romeo Plank, Macomb and from 10:00 a.m .to the 11:00 a.m. service time on Thursday, June 18, 2015 at the funeral home. Memorial tributes would be appreciated to charity of the donor’s choice. 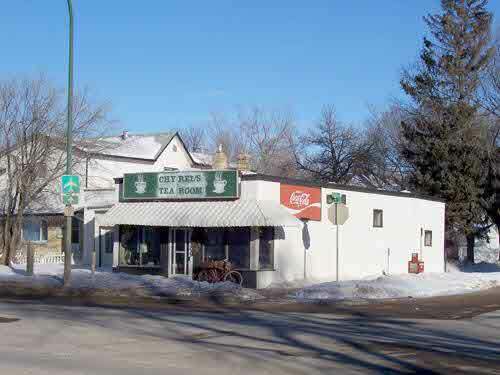 Fact 1* The store that Albert Zink, his wife Elsie and son William operated was designated a Municipal Heritage Site by the City of Brandon on Oct. 29, 2001. (Lot 20, Block 9, Plan 4) , Manitoba Date: October 29, 2001 Authority: The City of Brandonstructure was built by local entrepreneur Albert Zink in 1932 during the Great Depression. Mr. Zink and his wife Elsie operated their neighbourhood grocery store from this site until 1980 when Mr. Zink retired shortly before his death in March 1981. The store was also the location of the first sub-post office in Brandon and was truly a family affair with Albert’s son William working as the assistant manager of the store until it closed.relatively simple L-shaped wood frame structure has a flat tar gravel roof, concrete foundation, canopy, and enclosed porch. Many of the original elements of the food store including the meat cooler, walk-in freezer and shelving remain intact in the interior. The large store front windows are original as well. The structure is symbolic of the economic, social, and cultural development of the area and is representative of the family corner grocery store that was prevalent in neighbourhoods until the onset of the large national grocery chains. The operation of a sub-post office also made this location a place for people of the area to meet and visit while picking up their mail and buying their groceries.the closing of Zink’s Food Store in 1980, the building has been occupied by several different restaurants. (Witness) Fact 1 He witnessed the Fact 1 of Albert Zink on 29 October 2001 in Lot 20, Block 9, Plan 4, Brandon, Manitoba, Canada; The store that Albert Zink, his wife Elsie and son William operated was designated a Municipal Heritage Site by the City of Brandon on Oct. 29, 2001. 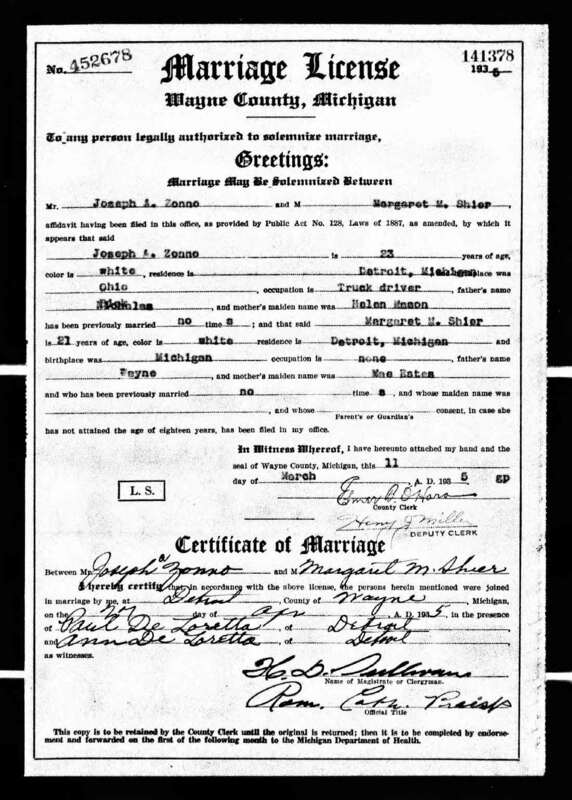 Marriage* He married Margaret Marie Shier, daughter of Wayne Clark Shier and Nellie Mae Estes, on 27 April 1935 in Detroit, Wayne County, Michigan, United States. 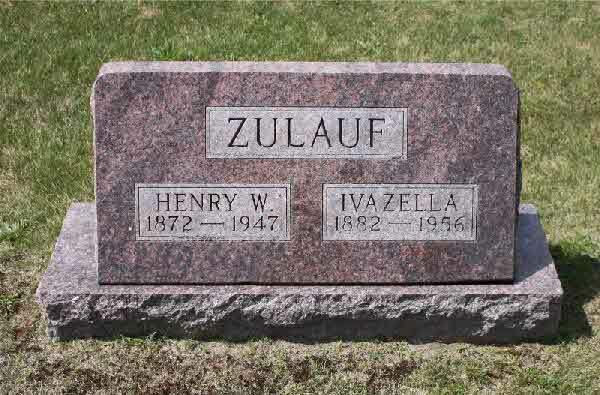 Burial* He was buried in Bingham Twp., Ubly, Michigan, United States.